This is one reason why i love this country and why i would never have attempted to bake through this book in Nigeria. 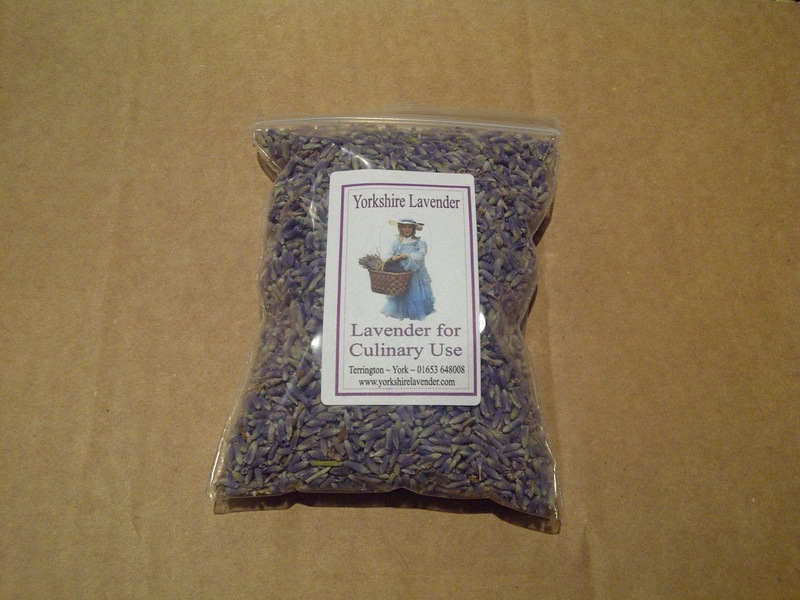 Where in Nigeria would you find culinary dried lavender? 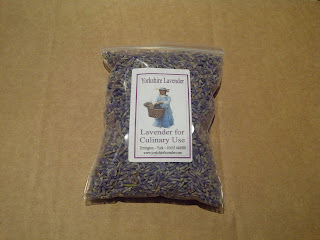 I didn't find it at the supermarket but I found it at lavenderworld online. 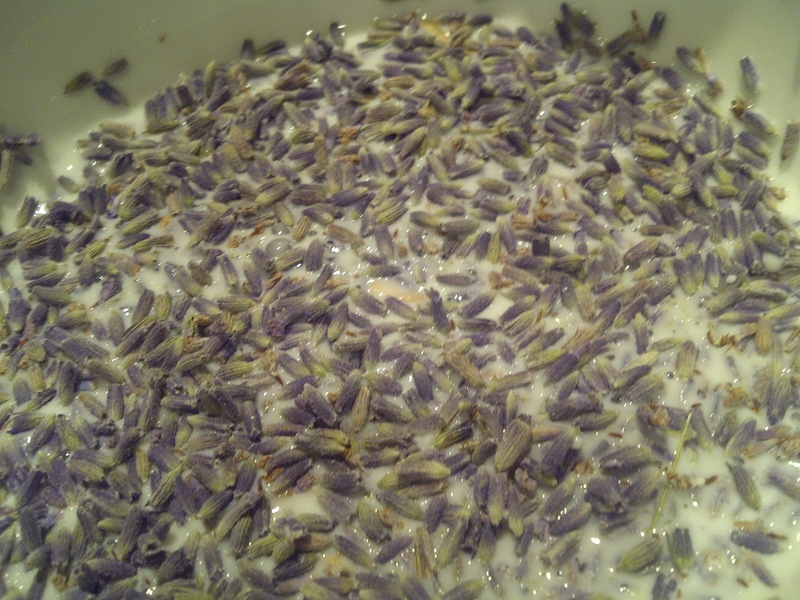 I also ordered one pot of the lavender plant because i needed the flowers to decorate but what i didn't know was that it wouldn't come with the flowers, unfortunately lavender doesn't bloom till summer so i'm stuck with a pot of soil and leaves. 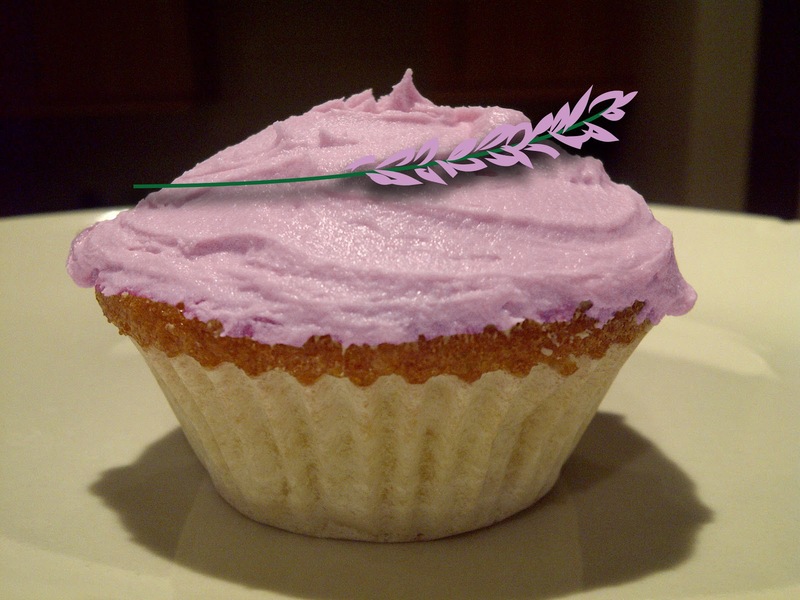 Anyway, i found it weird that fragrant flowers could be put into cupcakes so i thought it was a good time to make another animation. This one took longer than chocolate love but it was fun coming up with the concept as i went along. The song is called 'no love' from Erykah Badu's album Baduizm and I used Adobe Flash, Illustrator and Premiere Pro. 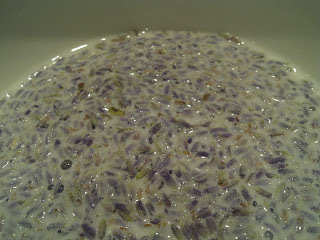 To get the flavour out of the dried lavender i had to put it in the milk for a few hours then strain. When i first put it in and stirred, it felt like it was cereal probably because its the only thing i put in a bowl with milk. 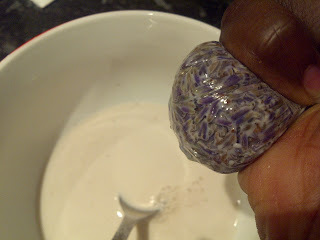 With a spoon, i removed all the lavender from the milk, put it in some cling film then wrapped it up, made a hole at the bottom and squeezed to get all the flavour out. 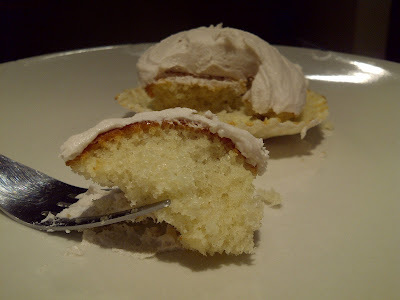 The ingredients were basically the same as the vanilla cupcakes minus the vanilla extract. 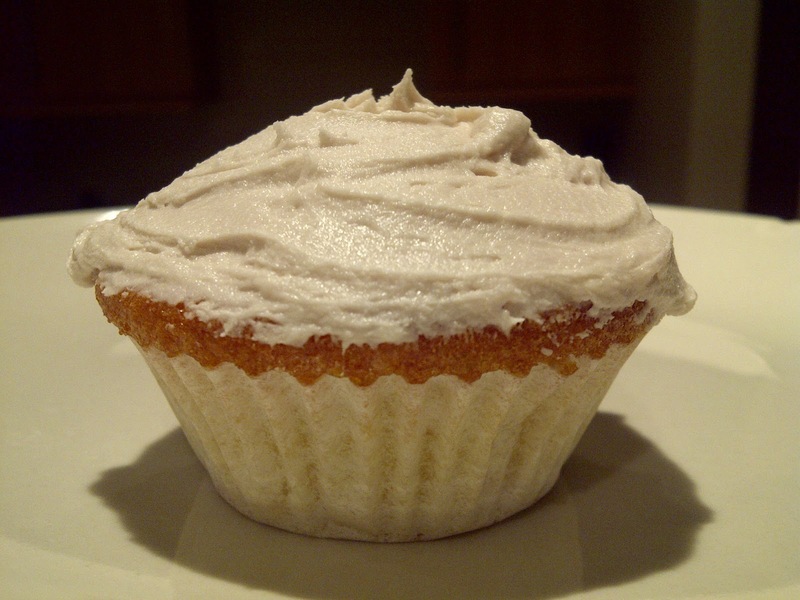 The frosting was also made with the lavender infused milk. The only problem i had here was with the colouring. I needed purple colouring and since i didn't find it i thought red + blue colouring would give me purple but i was wrong. The blue was too light and i had to add more than a few drop. 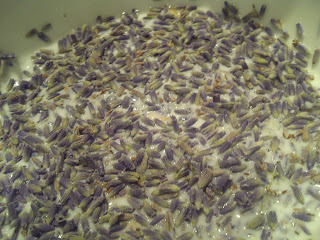 It still didn't change colour and i didn't want to make it pink so i decided to settle for a really really light purple. You can't even see the colour in this picture but its there. 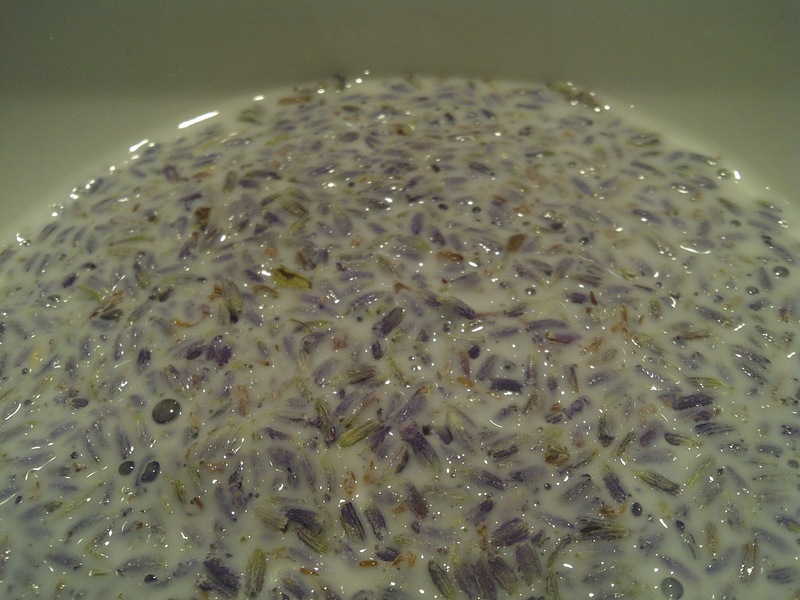 It tasted quite good even though it was like eating flowers. No i haven't eaten flowers before but taste buds are dependent on the nose and thats why i could connect the two. I thought it would be fun to digitally make the cupcake look the way it was meant too. loved this one! u're right it was like eating flowers. yummy flowers nonetheless!